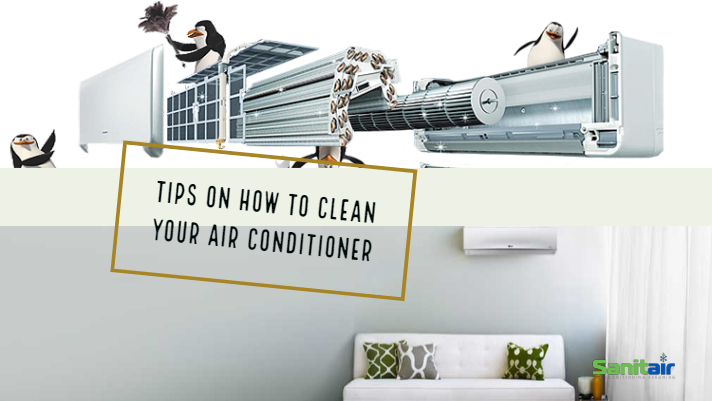 Tips on How to Clean Your Air Conditioner! Overtime dust, dirt, and debris build up in your reverse cycle air conditioning unit and as a result your costs for cooling/heating your home/office or electricity bill go through the roof. This build up in the air conditioning system causes the air conditioner to be less efficient. The air conditioner will have to work harder to achieve proper air flow so room occupants can enjoy cooler indoor temperatures. If Dirty, your air conditioning uses more power which means a higher electricity bill. High electricity bills are not the only problem you face with a dirty air conditioner. All that build-up of bacteria, mould, pet dander, DNA, skin squames, dust mites etc, can have an ill effect on your health. Your indoor air quality will be contaminated because the air conditioner recycles that dirty air back into the room which can make you more prone to illness, allergies and respiratory problems. You need to minimise your energy costs and improve your indoor air quality by making sure that you clean your air conditioning system regularly. Summer is only just around the corner and we are set for high temperatures this season. Before you turn the system on check the filters are free from contamination. This is very simple to do and as a result of cleaning just the filters you can improve your energy costs by up to 10%. It is best to clean your filter every 12 weeks or more regularly dependent on what is filtered through the air conditioner. For example, a kitchen air conditioner should have the filters cleaned a lot more regularly than a bedroom air conditioner because of the cooking fats & oils that get filtered through the system. Switch the system off, flip up the casing and remove the filters. Using a vacuum clean and remove the contamination on the filter. While you have the filters out have a look at the coils (behind the filter) if you can see a build up on the coils you will need to get a professional air conditioner clean. A professional Sanitair HVAC hygienist can clean the air conditioners coils and improve your energy costs by up to 28% and offer a 12 month mould free guarantee. If time is important to you, engage in a professional HVAC Hygienist – Freecall 1800 130 168 for your local Sanitair HVAC Hygienist and get it done properly. The preferred supplier in the Accommodation industry for Air Conditioning Maintenance is Sanitair Australia. As the most trusted in Australia servicing over 50,000 customers annually. Sanitair has over 50 technicians located throughout Australia in every state and territory. Not everyone is welcome, only those suppliers who have been recommended by owners and managers in the resort industry as having provided top performance, fair pricing, sound work or products and overall total satisfaction. A unique supplier source- double-checked! In the accommodation industry the Preferred Supplier Programme was, and is highly unique. Suppliers cannot simply pay to be included. Inclusion in the Programme is conditional on the receipt of an industry recommendation qualification. Once a recommendation is received, the supplier is put through a secondary qualification process to ensure they can deliver the highest levels of service, guaranteeing they are committed to developing improved products and services for the industry. Only after satisfying these important criteria will they be given the option to be included in the Preferred Supplier Programme. This process is repeated every 12 months, so Managers and Industry Professionals can be confident in the service Preferred Suppliers will provide. 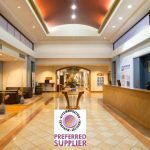 The Preferred Supplier Programme benefits the Accommodation Industry as a whole. As with any industry, the Accommodation Industry is susceptible to unscrupulous and unprofessional suppliers. The Programme helps to weed them out by supporting those who always do a good job. Some our Sanitair Australia customers include: The Oaks Group, Wyndham Resorts, Novotel and Best Western. 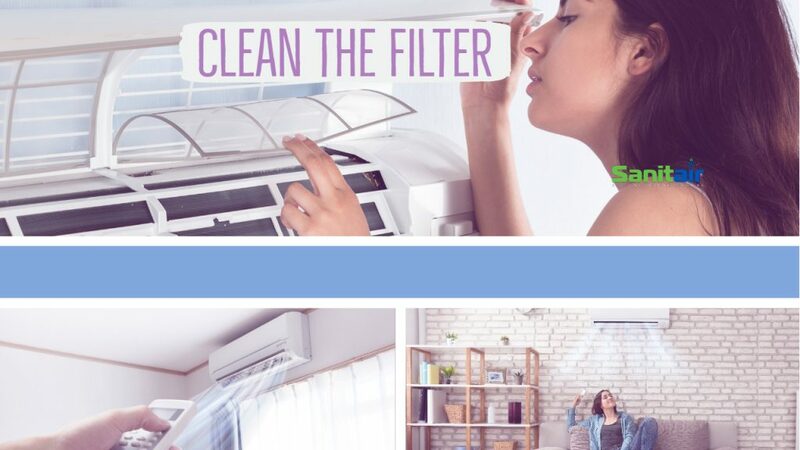 Free Call Australia’s Largest Award Winning Specialised Air Conditioning Cleaning, Sanitising & Certification Service Provider, Sanitair Australia today on 1800 130 168 for your local licenced and exclusively authorised technicians to discuss how Sanitair services can save you money! 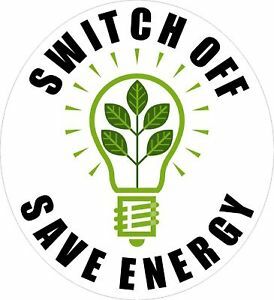 Reduce energy consumption, switch off and save energy over the holiday period by switching off all electrical appliances that you don’t need on standby while you are away. Want to know how to save energy in your home? If you are going away over the Easter holidays or long weekend, turn everything off that doesn’t need to be on and reduce emissions but best of all minimise costs. Turn off and unplug coffee machines, hot water systems (depending on length of your holiday), microwaves, stereo systems, televisions, air conditioners and anything you won’t need on standby.